Cleopatra is legendary for many things—she was the last pharaoh of ancient Egypt, she was smart and stunningly beautiful, and she formed alliances with both ancient Rome's Julius Caesar and Mark Antony. She also bathed in milk, and that's also the stuff of legend since she was also known for her beautiful skin. Cleopatra reportedly used donkey milk for her baths, and it's believed she also added honey and lavender to the milk, with scattered rose petals floating in her bath. Measure out the milk into a large, wide stainless steel bowl. Add the Epsom and sea salts, the baking soda and the Natrasorb Bath if you are using these ingredients and mix everything together well, making sure to break up any clumps. Add the fragrance or essential oil. Lavender is a favorite in bath blends, but honey, almond, vanilla, mint, rose and other flowery and fruity fragrances also are appealing. Scoop the milk mixture into jars or other air-tight containers. 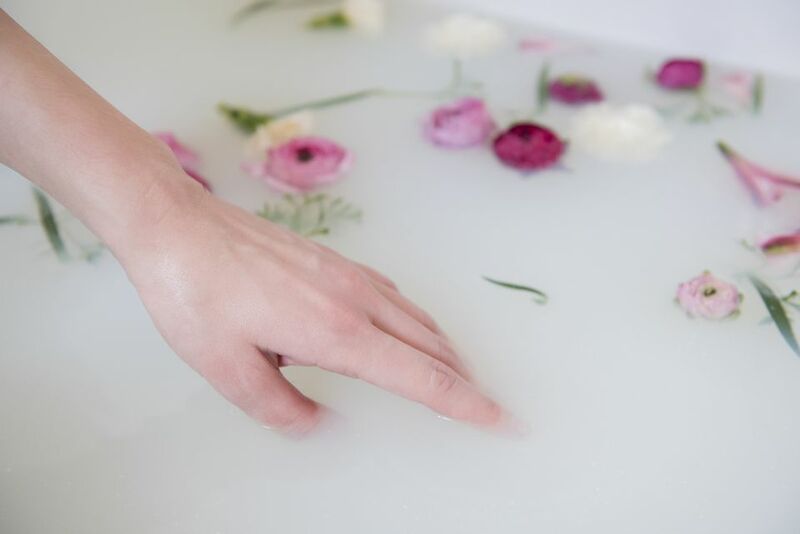 For your bath, add a half cup or so to briskly running bath water and enjoy a soothing soak. This simple recipe is flexible and customizable to your own desires. You can modify the choice of salts, types of milk, fragrance and other ingredients to give you the kind of luxurious bath experience you want. Salts are included in the recipe, but they are optional—the main point here is the milk. The salts help with the cleansing (sea salt), detoxifying (baking soda) and relaxing (Epsom). Include any or all of them as desired. ​Natrasorb Bath is also a really great, silky, luxurious additive that is lovely in bath milk blends. Be sure to note the "best by" date of your powdered milk. It doesn't last as long on the shelf as regular salts do.